as the club continues to grow and the sun continues to shine, we are getting more and more people attending the saturday morning ride. we now regularly get about 150 riders and split into 8-9 groups. the introduction of the ride leader training has formalised how we run the saturday morning groups and there has been a lot of positive feedback around the black jerseys. however, the shining sun also bring out a lot of other people that want to enjoy the swan river. as such, there has been a lot more cars and boat trailers filling up the carpark early making it hard for us to organise groups. 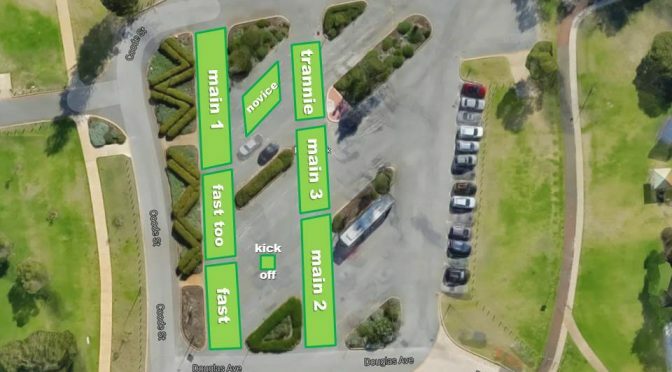 to assist in splitting the groups up and staying away from the majority of traffic movements within the carpark, we have developed a new marshalling plan. this allows us to slowly funnel riders out and gives us more control over splitting group sizes. it centralises the individual giving the ride briefing and also places the groups in departing order. 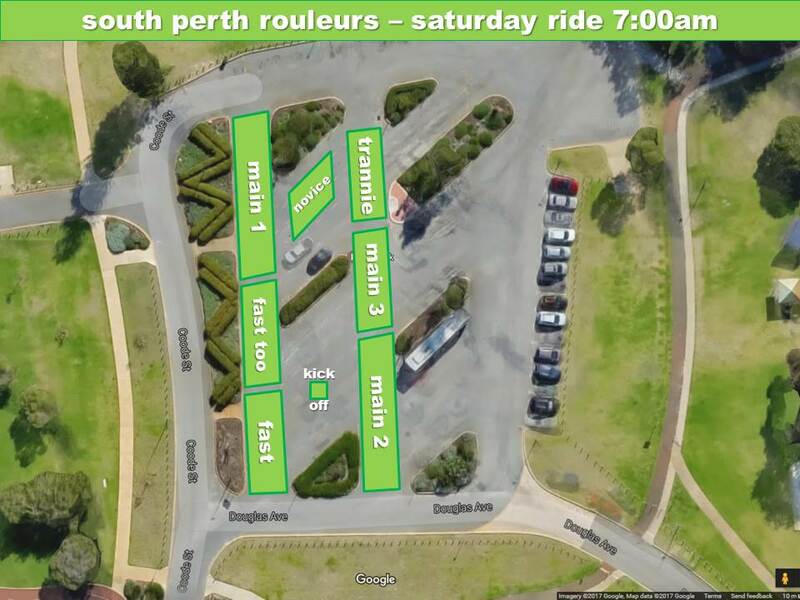 please have a look at the map below and when you get there on saturday, position yourself in the area of the group you wish to ride in. the ride leaders will then come to that area to split if necessary and brief that group before heading out.